Martin Leska, an 83-year-old white man, was pronounced dead on Saturday, Dec. 16, after being found stabbed at his home in the 5500 block of Alessandro Avenue in Temple City, according to Los Angeles County coroner’s records. Deputies were called to Leska’s home about 5:50 a.m. after a family member requested a check on his welfare, said Los Angeles County Sheriff’s Lt. Rodney Moore. Relatives told investigators they hadn’t heard from or spoken to Leska for “several days,” Moore said. Leska was found inside his home with at least one stab wound in his upper torso, Moore said. He was pronounced dead at the scene at 6:50 a.m., according to coroner’s records. Moore said investigators aren’t revealing any details about the condition of the house, or how Leska’s attacker got inside. Diane Christine Alarcon, a 40-year-old white woman, died on Wednesday, Jan. 11, after she was stabbed in the 6000 block of Temple City Boulevard in Temple City, according to Los Angeles County coroner’s records. John Ralph Perales, a 45-year-old Latino from Temple City, pleaded guilty to Alarcon’s murder on Aug. 21. He also pleaded guilty to the attempted murder of Alarcon’s male guest and Perales’ ex-girlfriend and her son earlier in the morning on Jan. 11, according to a news release from the Los Angeles County district attorney’s office. Deputy Dist. Atty. Michael Matoba said the defendant went to the ex-girlfriend’s El Monte home early in the morning of Jan. 11. He crawled on top of her as she was sleeping, the prosecutor said, and then woke her up and began cutting her with a knife. Michael Robert Torres, a 56-year-old Latino male, died Saturday, Sept. 12, after sustaining blunt force trauma in Temple City, according to Los Angeles County coroner's records. 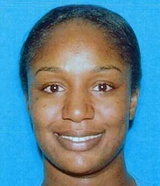 Tanaya Shanette Goins, a 32-year-old black woman, was shot and killed Thursday, March 5, in the 5100 block of Rosemead Boulevard in San Gabriel, according to Los Angeles County coroner’s records. About 6:40 a.m., deputies from the L.A. County Sheriff’s Department responded to a call of an assault with a deadly weapon, according to a news release. Deputies arrived at an apartment and found Goins, who had been shot. Goins was pronounced dead at the scene at 6:50 a.m., said Ed Winter, assistant chief of investigations for the coroner’s office. A 13-year-old boy whom deputies believe is Goins’ son, was also struck by gunfire and suffered non-life-threatening injuries. Deputies believe Goins was involved in a family dispute with her brother, who was arrested on suspicion of murder that day. Carmen Garcia, a 65-year-old Latino female, died Sunday, March 31, after being shot in Temple City, according to Los Angeles County coroner's records. Kenneth Gomez, a 27-year-old Latino, died Wednesday, March 7, two days after he was shot by police near Arden Drive and Freer Street in Temple City, according to Los Angeles County coroner's records. The shooting occurred late Monday night when police pursued Gomez, who they said had been seen "tampering" with and "unloading" a U-Haul truck in El Monte. The pursuit continued until Gomez was trapped by authorities on a cul-de-sac. After letting passenger Dennis Day, 20, out of the truck, Gomez drove at "a high rate of speed" at the officer who had initiated the pursuit. "He came close to striking the initial pursuing officer," Lt. Eddie Hernandez of the Los Angeles County Sheriff's homicide bureau said. "That caused officers to fire rounds, fearing for their safety." Susan Linda Russell, a 46-year-old white female, died Wednesday, July 2, in Temple City, according to Los Angeles County coroner's records. Posted July 25, 2007, 11:52 p.m.
Deandre Netter, a 16-year-old black youth, was shot in the chest and the back at 5742 Golden West Avenue in Temple City at about 11:12 p.m. Wednesday, July 25, and died at 11:52 p.m.
Sheriff's Lt. Gil Carrillo said that Deandre was walking with his twin brother and a friend--a Latino youth--when a light-colored car moving slowly from the opposite direction pulled alongside them. With no words, no preliminaries whatsoever, someone in the passenger seat started shooting and Deandre was struck. Carrillo said investigators don't think the shooting was gang-related. Update: Warrants have been issued for two outstanding suspects in this case. Sandra Patricia Casas, a 26-year-old Latino female, died Monday, Oct. 9, after being stabbed in Temple City, according to Los Angeles County coroner's records. Simon Lim, a 15-year-old Asian male, died Tuesday, Aug. 19, after being shot in Temple City, according to Los Angeles County coroner's records. Aichin Liu, a 51-year-old Asian female, died Tuesday, Oct. 16, after being shot in Temple City, according to Los Angeles County coroner's records. Chih Ni, a 20-year-old Asian male, died Saturday, March 17, after being shot in Temple City, according to Los Angeles County coroner's records. Daios Retzepis, a 22-year-old white male, died Thursday, Dec. 14, after being shot in Temple City, according to Los Angeles County coroner's records.